Right after exam week I made a quick trip to the Miracle 10 Boutique/Plastic Surgery Clinic in Yorkville for one of their resurfacing peel treatments. Since I have young, sensitive skin, I was fitted with the most gentle peel, consisting of 20% lactic acid. I was a bit nervous at first since I've only heard of more aggressive chemical peels which leave skin red and peeling (literally) for days. Fortunately, my skin looked better than ever right after the treatment, with absolutely no redness or averse reactions. As a matter of fact, the one small patch of dry, irritated skin I had prior to the treatment cleared up within a day. This stuff is a miracle! ha ha. Derived from milk, lactic acid chemically exfoliates the skin, providing a brighter, smoother and more even skin tone. This is a very safe treatment, especially for temperamental, sensitive skin like mine. I always react to glycolic acid, so this is the perfect AHA alternative. This particular treatment is suitable for all skin types, including acne-prone. Finally, a face massage. Neda used the Miracle 10 moisturizer and finished with eye cream. This was undoubtedly my favourite part of the treatment. This is the perfect example of a "don't try this at home" situation since real chemical peels require proper training and include a procedure which you cannot perform on your own. It's also important to note that you should not apply any chemical exfoliants (AHA, Glycolic, BHA - salicylic acid) 48 hours before, and after the treatment. Also, avoiding the sun is crucial for two weeks after a peel. I experienced better than expected results and had a very nice time at the clinic. I am continuing to use some Miracle 10 products I was given to try, which I'll comment on in the near future, but I wouldn't hesitate to visit the clinic again for another treatment. Although it is an investment, skincare is always a rewarding area to indulge in. 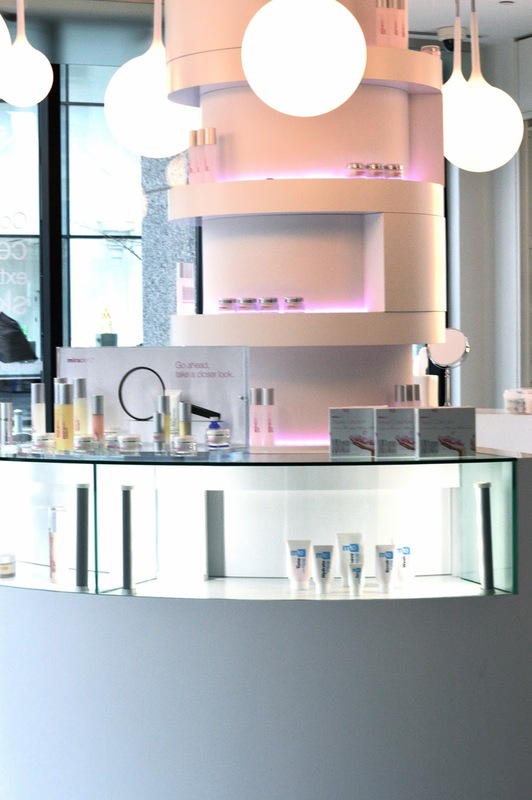 You can see a few other photos of the clinic and treatment from Carly at Beauty & The Blog.